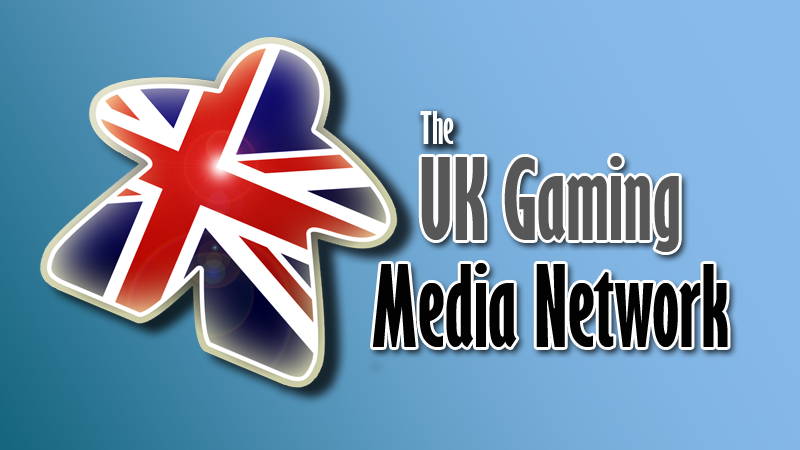 Games & Tea: Games & Tea's Christmas Shopping Guide! Games & Tea's Christmas Shopping Guide! 'Tis the season to be jolly, apparently. Here at Games & Tea, on the other hand, we won't try to tell you how to feel based on the Earth's position relative to the sun, nor will we try to brainwash you with catchy songs. However, we can't deny that this is the time of year that our capitalist culture makes us feel obligated to buy gifts for our loved ones/friends/people we vaguely know, so if that person in your life is a fan of board/card games, we're hoping that this little guide makes the process a little easier. Now not all of the games in the following article will be ones that we've reviewed, but in the cases of those we haven't played ourselves, we've heard from trusted sources that they are worth a gander. Looney Labs' Fluxx is a nice way to pad out a Christmas stocking. This simple chance-based card game is a pocket-sized gem - quick to learn, easy to play, and something that the whole family can enjoy. Some of the more complicated rules can easily be discarded for younger players, and it comes in around the thoroughly reasonable £12 mark. With a wide range of variants, including Zombie Fluxx, Pirate Fluxx, Oz Fluxx and Family Fluxx, there's pretty much a Fluxx for everyone! 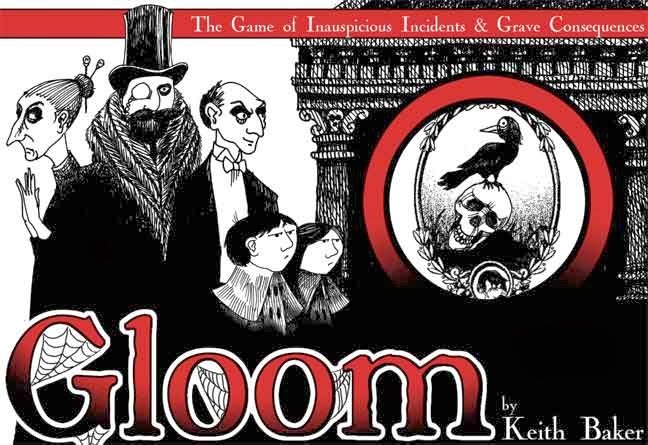 If you're more inclined toward something to give the imagination a good workout then you can't go far wrong with Gloom from Atlas Games. Gloom is a storytelling card game in which players must weave a tale of woe for their family, heaping as much misery on them as possible, whilst bringing untold joy to their opponents' families. 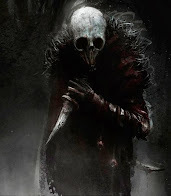 It's quite a dark game, but the storytelling makes for a nice group activity, perfect for those who like their Christmas a little bit twisted. A little more expensive than Fluxx, Gloom will set you back around £20. Fluxx has already been mentioned as a family-friendly offering, featuring easy-to learn rules and multiple editions to choose from. 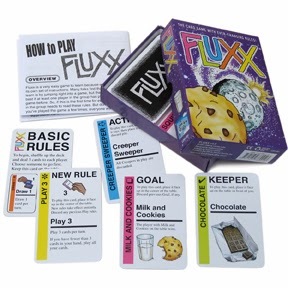 Family Fluxx is the obvious choice for bringing the family together over the holidays, but regular Fluxx (or Fluxx 4.0) is the next logical stepping stone. When it comes to family games, nothing has impressed us quite like Dixit. It requires players to use their imaginations in a similar manner to Gloom, but with a much more innocent nature. Once again this is a quick-to-learn game, and its beautiful styling and charming nature should make it a hit with family members of most ages. 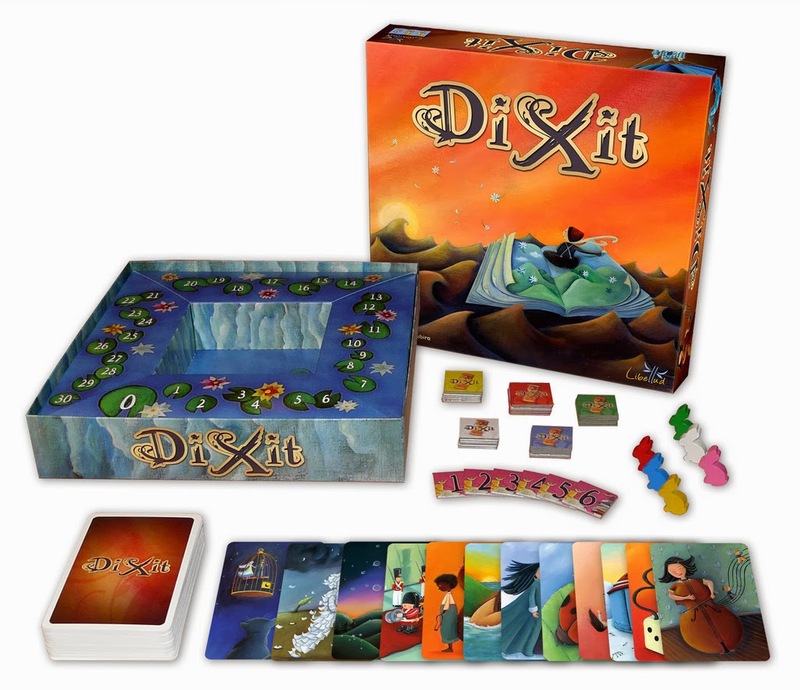 Dixit costs roughly £30, but would be a fine addition to any family games collection. Another simple family game is Fantasy Flight's Hey, That's My Fish!, a strategy game which is simple to pick up but deceptively strategic. 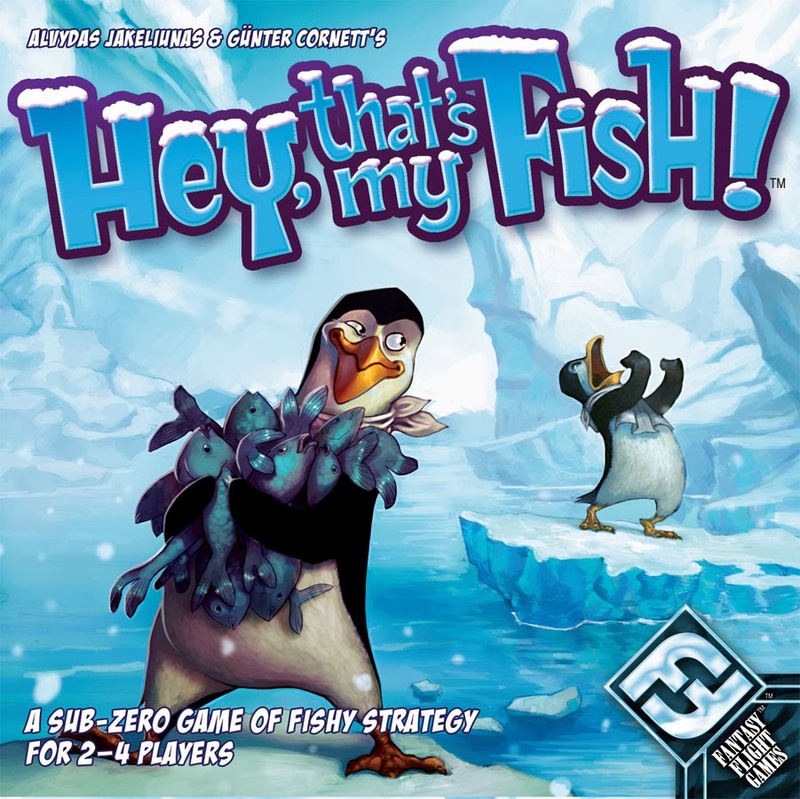 The aim of the game is to have your penguins collect more fish than those of your opponents', through collecting hexagons from the modular gaming board. HTMF requires only a small area to play, features a nice, basic ruleset, and at £10 isn't going to break the bank! Big box games are great to give as Christmas gifts, with their bulk looking fantastic under the tree. There are more big box games than we can even begin to imagine out on the market, so we're going to suggest a few of our favourites. Bioshock Infinite: The Siege of Columbia from Plaid Hat Games certainly gives you a lot of components for your money, making for a hefty box and an impressive-looking gift. For fans of the videogame it's a great board game experience, and even those unfamiliar with the setting should be able to enjoy the strategic element of the game. 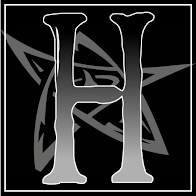 It takes a good couple of hours to play through a session, and so two or four players will be able to war with eachother to their hearts' content on a chilly winter evening. As with most big box games, it comes with a sizeable price tag, and will set you back approximately £60. 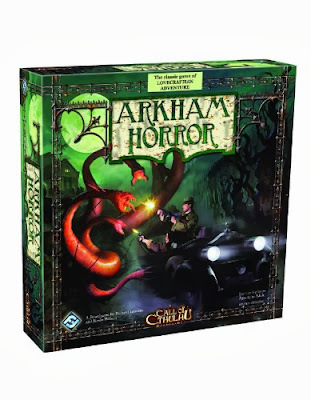 If co-op's more your thing, then Fantasy Flight steps up to the plate once more, with Arkham Horror - one of their flagship games. Arkham Horror sees a team of up to eight investigators working together to prevent the incursion of a mighty eldritch horror into the world. It's another hefty game with a lot of components, and once again has a long run time, with sessions taking anywhere up to and beyond the 3 hour mark. The co-operative nature makes it a nice game to bring people together (or cause riotous arguments) over the festive period, and the reasonable £35 price tag should make it seriously worth considering. As the players are playing against the board itself, it can also be played solo, which can be handy when those family arguments have escalated beyond bursting point. If you prefer you co-op games with a slightly competitive edge (make your mind up, will you?) then Fantasy Flight have another treat which may fit right in, in the form of Letters From Whitechapel. Rather than playing against the board, up to five players must team up as Scotland Yard's best and brightest, and work together to bring down the other player who takes on the role of the notorious Jack the Ripper. Dark subject matter aside, Letters From Whitechapel is a very strategic and challenging game, and is one of Games & Tea's favourite board games to date. A copy of this will set you back roughly £45, and a session will take 1-2 hours. 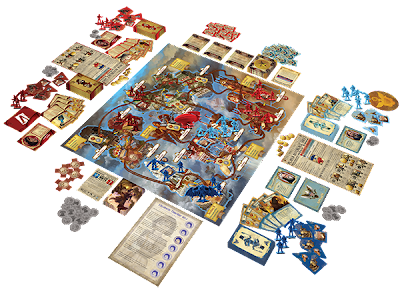 If the board game fan in your life has a penchant for tabletop games, there are some wonderful options on the market which combine the two. For a game which has an element of mischief and whimsy, you can't go far wrong with Wyrd Miniatures' Puppet Wars Unstitched. 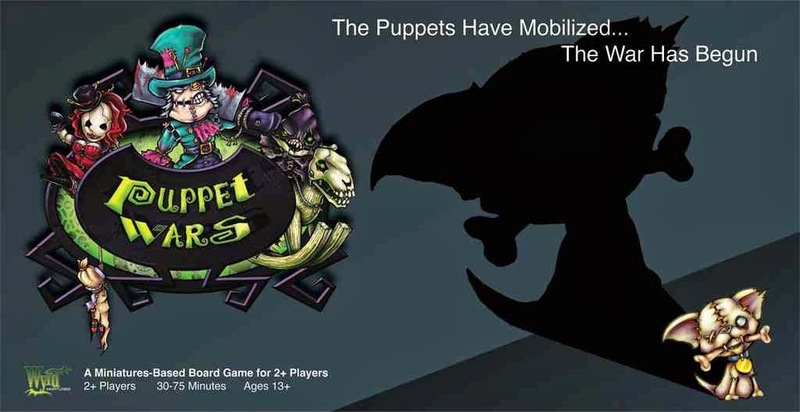 Set in Wyrd's fictional world of Malifaux, Puppet Wars allows players to build an army of puppets and voodoo dolls to fight a war for the future of their workshop. There are plenty of miniatures to build and paint inside the box, but it still retains that self-contained board game essence. 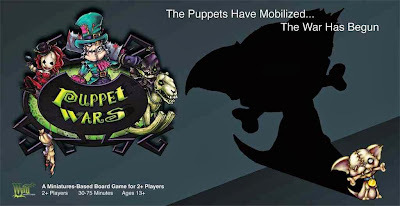 Puppet Wars costs around £45 for the box set, and includes almost everything two players need to get going (a bag of dice or counters would also help). Another one to cross that barrier between board game and tabletop system is Mantic's Deadzone. Unlike Puppet Wars there is no whimsy factor here, as Deadzone is a gritty, hard sci-fi skirmish game. 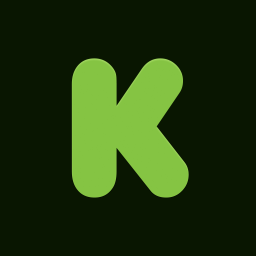 The official release date for Deadzone is actually February 2014, but as it was a Kickstarter project, stores who backed the game will be receiving some stocks at the end of November. Check if your FLGS was one of them, and you may be able to secure a copy for Christmas. We've yet to play it ourselves, but have heard nothing but praise from our friends at The Hobbynomicon, and are very excited about picking up our copy next weekend. 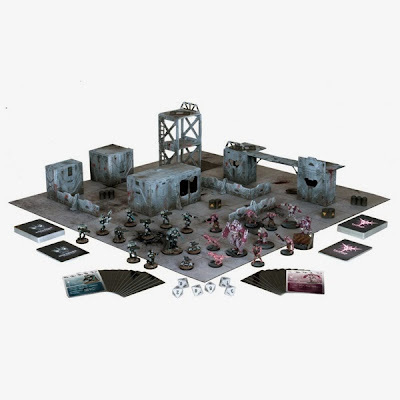 The starter set of Deadzone costs approximately £60, and features everything 2 players need to get going. Mantic once again tick both the board game and tabletop boxes with DreadBall. Again, this is one we haven't played ourselves, but have watched a lot of games down at our FLGS Titan Games, and from listening to other players it does seem to be a lot of fun. From the outside it looks like a cross between American Football and the various games from Tron, but played by a combination of humans, fantasy races and robots. With extra teams available to buy, and additional players to augment the starting teams, it's a fully customisable tabletop system, but the beginners box features everything you need to get started (as every board game should). 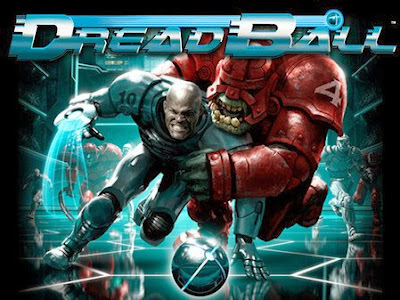 DreadBall will set you back £30-50 depending on whether you opt for the Kick-Off box, or the better value Deluxe set. 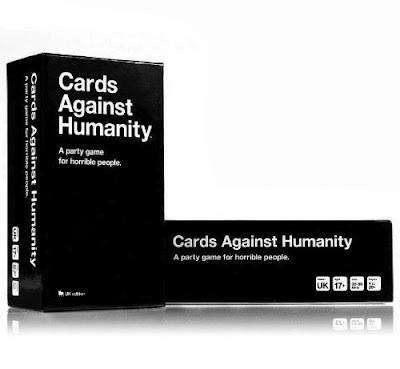 Christmas is a time for party games, so we'll wrap up this feature with a nod towards our personal favourite party game; Cards Against Humanity. ﻿The hallmark of a party game is that it gives all players something to do on every turn, rather than each player taking their own turn whilst the rest wait. CAH achieves this by presenting the group with a question or incomplete phrase, and allowing all players to attempt to answer the question/complete the phrase using one of the many non-PC cards in their hands. Whilst not for the faint of heart or easily offended, CAH is great for a group of like-minded individuals, and is hands-down the most played game here at Games & Tea right now. Cards Against Humanity costs around £20 for the base game, which is great value for the number of cards you receive inside the box.